Is It Possible to Get an IVF Refund? - Kinsey Law Group, P.C. Going through an IVF cycle is expensive, whether it’s you or your surrogate experiencing the process. One source estimates that patients may spend up to $23,000, sometimes more, on each cycle of IVF. That’s an astronomical cost for the average American. And what if the attempt is not successful? Is an IVF refund in the picture? Unfortunately, a full IVF refund isn’t possible. The money that a couple pays for IVF goes to pay for the injections and medication, the consultations with medical professionals, the procedure of combining and fertilizing the eggs and sperm, the use of the lab while the embryo is growing for a few days, and the procedure wherein the embryo is placed into the uterus of the carrier. The cost may include preimplantation genetic screening (PGS) testing and other types of tests. Those costs are for goods, services, time, and utilities that are already spent and cannot be returned, as with a physical product. What can intended parents do? They may be facing multiple rounds of IVF before a successful pregnancy occurs. Some intended parents may choose to travel elsewhere in the United States to have the procedures done. Costs vary dramatically, with San Francisco and Chicago having higher prices and the largest clinics. In Boston and other areas, competition among private practices and large hospitals drives prices down a bit. Insurance sometimes helps with the cost of IVF; but according to reports, only 27% of Americans can expect payment for IVF from their insurance companies. Other couples have to delve into the details of the IVF process and decide whether to save money, obtain loans or exclude extras like PGS testing and ICSI. Check with your insurance agency to find out if you have full, partial, or zero coverage for fertility treatment and IVF. Around half of the IVF clinics in the United States permit patients to purchase cycles in packages. By bundling multiple cycles together in a package, the clinic can ensure that the patient stays with them for the duration of treatment; and in return, the clinic gives the patient a break on the price. 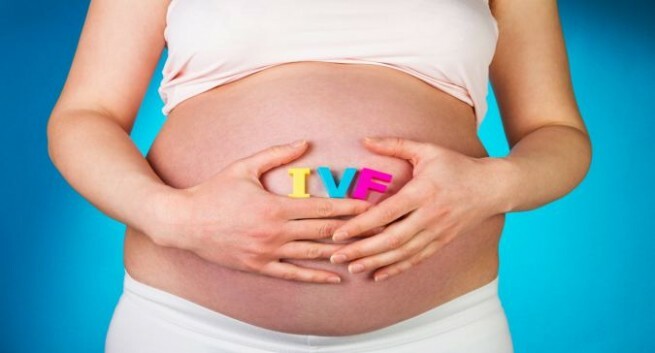 Sometimes, patients are offered a partial IVF refund feature by the IVF clinic. These “shared risk” programs are not open to everyone; in fact, clinics seem to offer them mostly to patients who are excellent candidates with a good chance of success on the first try. So the couples may end up paying extra to “insure” their results and secure a partial refund if IVF doesn’t work; and then, when it does work, they have overpaid. If IVF doesn’t work, the partial refund package may include a long list of medical exclusions, so the patient may not qualify for the refund anyway. Before you sign up with any such program, show any papers and information to your surrogacy lawyer or ART lawyer. Your attorney can examine the exclusions and the wording of the agreement and give you some helpful guidance. Throughout your family-building journey, it’s a good idea to take copies of any contracts or paperwork to your lawyer before you sign them, just to be sure that there are no legal red flags along the way. Protect your family and your finances by hiring a respected, experienced ART lawyer!